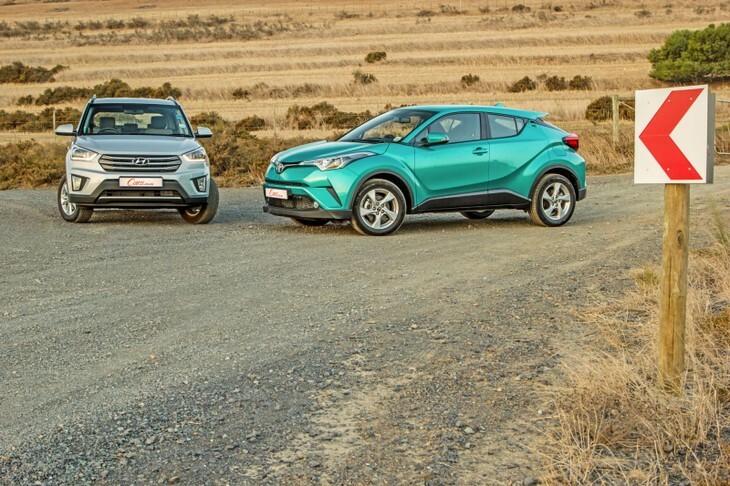 If you’re looking for a vehicle in the burgeoning compact crossover segment it’s likely the Hyundai Creta and Toyota C-HR will be on your shortlist. Both have much to offer, but what exactly are you getting for your money? It’s difficult to evaluate the size of the Creta and the C-HR from photographs. 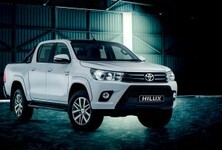 In reality the Toyota is, surprisingly, 90 mm longer than the Creta. Given that, you’d expect it to be roomier, but that’s not the case. The Creta has more room for passengers, front and rear, and – despite both featuring a full-size spare – also has a much larger boot (402L vs 234L). The Creta is also 65 mm taller than the C-HR with 190 mm of ground clearance – significantly more than the C-HR’s 160 mm. The Creta is bigger inside and more practical than the C-HR. As a family car, the Creta does a much better job of carrying things and people, but it’s a bit of an ugly duckling compared with most recent Hyundais. 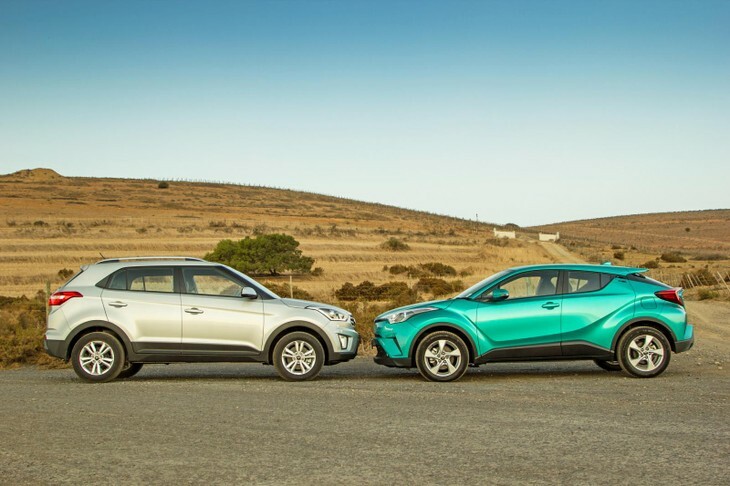 Vehicles such as the Tucson, Elantra and the new i30 are defined by fluid, flowing lines, while the Creta appears to be a bit square and bland – almost a step back to the Hyundais of a decade ago. For usually conservative Toyota, the C-HR is a step in the opposite direction. Where the Corolla, Etios, Hilux and Yaris are all quite ‘safe’ designs, the C-HR is wild. The rear light cluster seems to have been designed by a Samurai warrior let loose on the designer’s pad with a (touch sensitive?) katana. Actually, that goes for the rest of the car too. It’s definitely eye-catching, and in this colour, you better be prepared for a few stares at the traffic lights. The result of the bold design and coupe style is that practicality is shuffled further down the priority list. 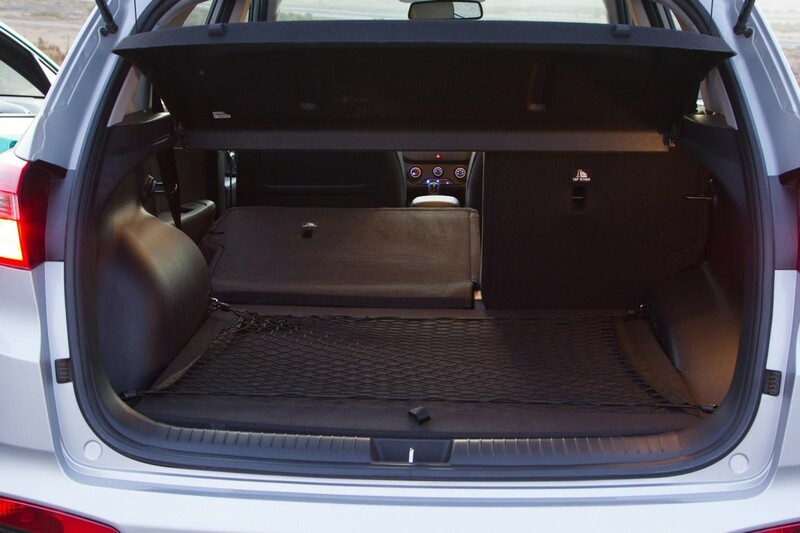 Less room for passengers, and a tiny boot means it’s not a great family car, unless you’re a (very) small family. 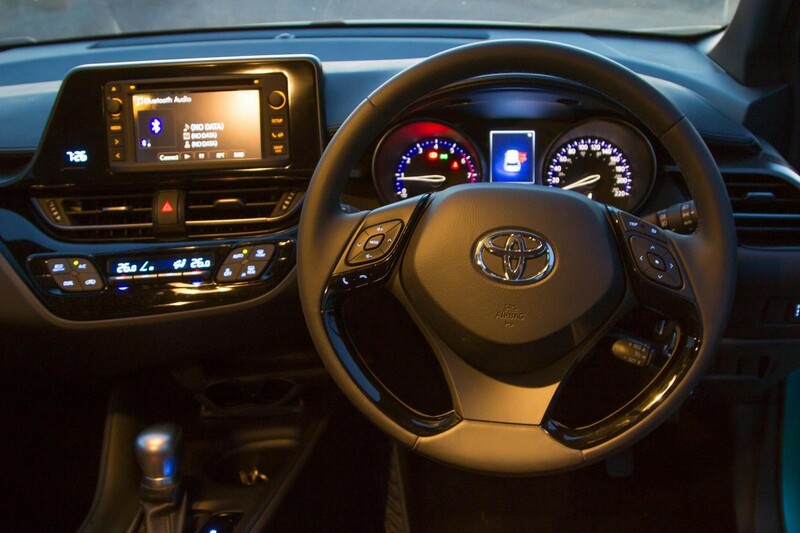 As most manufacturers have improved cabin quality markedly in recent times, we have come to expect interiors to be well made and stylish regardless of the price point. 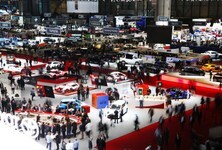 Hyundai has made huge strides in this regard, resulting in an overseas top 3 spot in J.D. Power awards for quality. 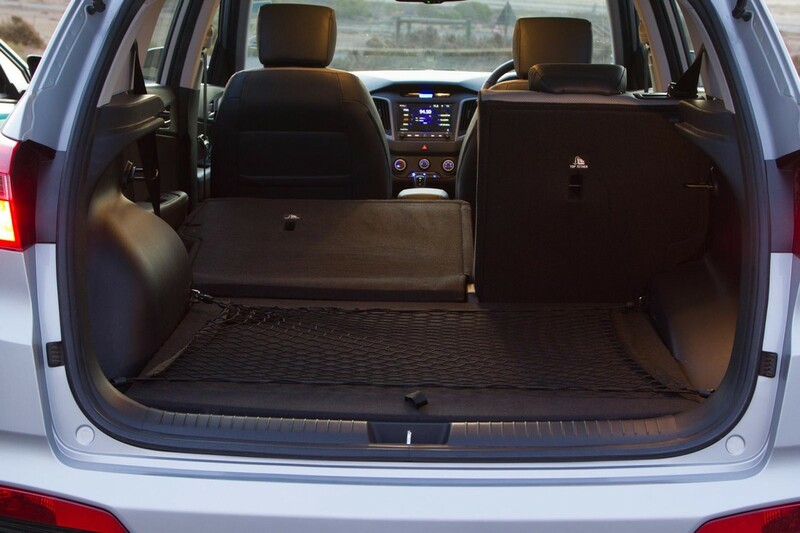 It’s easy to see why when you climb aboard the Creta. Everything, from the air conditioning knobs to the door handles and leather steering wheel, imbues a tactile sense of sturdiness and substance. Toyota's infotainment system features a retro 'A-Track player' that doubles as a touchscreen. 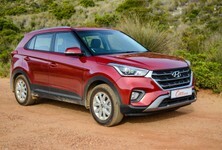 Again, Hyundai has prioritised practicality with the Creta: The door pockets can accommodate a large bottle, the space in front of the gear lever is big enough for a modern mobile phone, the seats are covered in leather that feels hard-wearing and the rear passengers have their own air vents plus plenty of leg- and headroom. The C-HR’s interior isn’t quite as curvaceous as its exterior but still manages to capture the car’s departure from conventional (read boring) Toyotas of the past. A stitched leather-wrapped dashboard lends a premium touch, offset by the cloth-only seats. They’re comfortable, if not as plush as the Creta’s leather items. 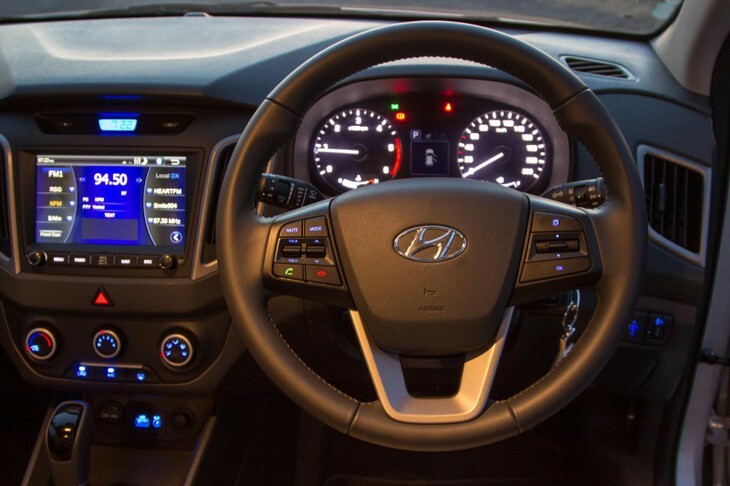 Hyundai features a large touchscreen system but lacks dual-zone climate control and cruise control. Ergonomically the C-HR can be nit-picked to pieces. The cupholders are separated by the gear lever and there’s nowhere to store your chattels if you happen to be using the cupholders for actual cups. The angle of the shelf ahead of the front cupholder means that anything stored in there falls into the driver’s footwell every time you turn left. The sloping roofline robs rear passengers of headroom and despite being longer than the Creta, the C-HR has less rear leg room. It does have dual-zone climate control and cruise control, which the Creta lacks. 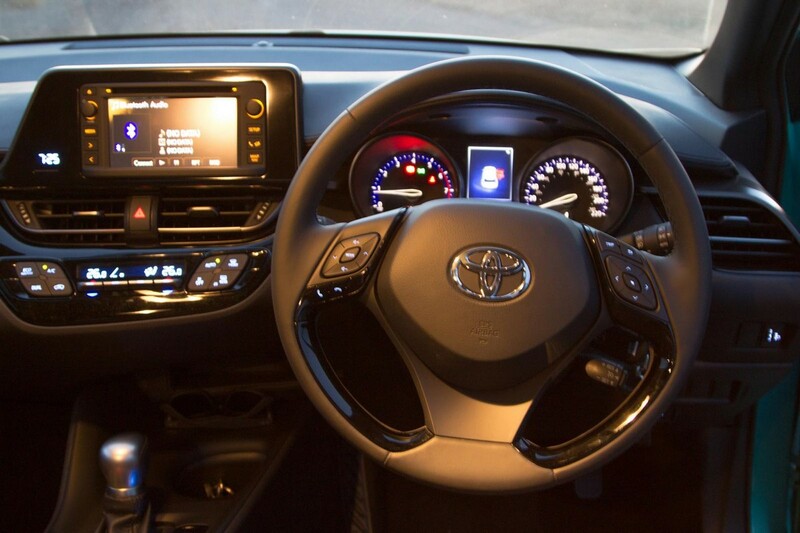 The tech offered from the infotainment systems, while similar, is executed with differing levels of success. 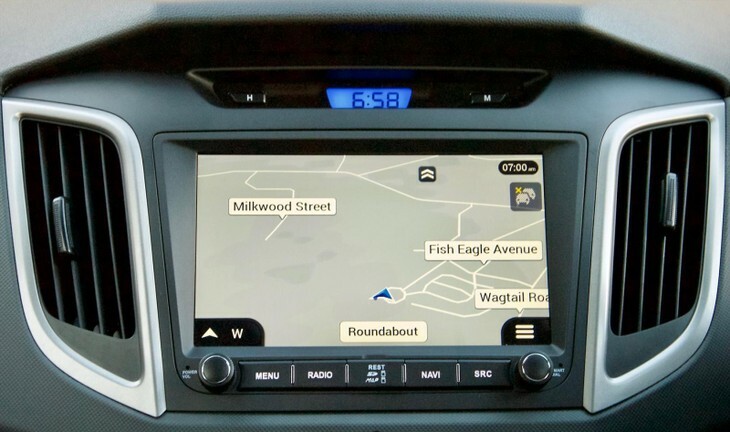 The Creta has a large touchscreen system that includes navigation. Operation is Windows-like, with icons for menu navigation. It can be slow and a bit frustrating, especially when typing in destinations. As you’d expect, there’s Bluetooth for telephone functions and playing media. 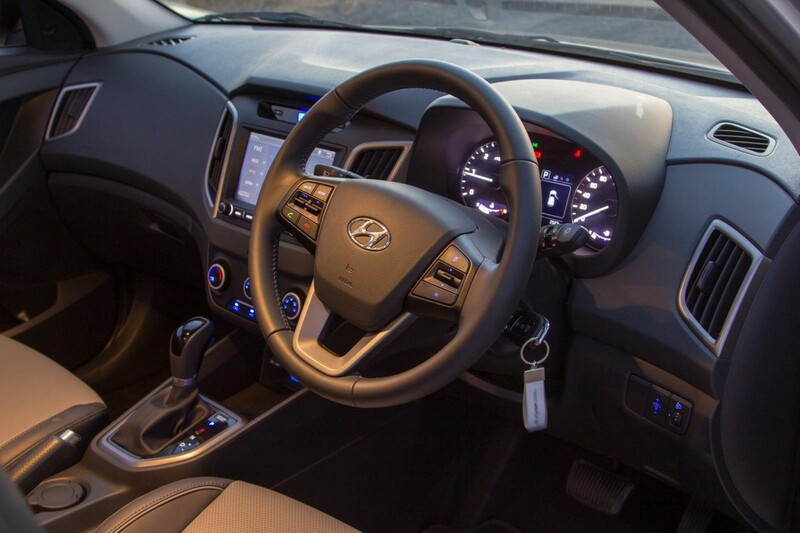 A USB port, Aux port and 12V socket are all within easy reach below the infotainment system. Toyota’s entertainment system looks like a 2000s head unit that combines a CD player and tape deck in one. We nicknamed it the ‘A-Track player’. It’s not entirely evident why we have this system instead of the better-integrated unit available in the Auris, Prius, Fortuner and Hilux. Aftermarket looks aside, at least the touchscreen responds quickly and there is a proper volume dial. Sadly, navigation isn’t available despite a dedicated ‘Map Nav’ button. There is support for USB devices as well as an Aux jack. In this segment, you expect the basics like ABS, EBD and some airbags, and that’s what you get with these 2 crossovers. The choice of safety systems though is perplexing. For instance, the Creta does all the hard work of cramming 6 airbags into the cabin to protect you in the case of an accident but then makes the unforgivable error of omitting stability control, a system credited with saving more lives than the seatbelt. Conversely, the C-HR has stability control fitted as standard but only has airbags for the driver and passenger. This, again, may point to Toyota punting this more as an individual’s status symbol than a family car. In this segment, you have a wide range of choices when it comes to powering your crossover. The Creta offers either a naturally aspirated 1.6 petrol or, in this case, a 1.6 turbodiesel. The turbodiesel is rough, both on startup and while driving. It feels particularly old compared with other offerings in the market. The roughness translates into a clattery and noisy driving experience, despite the quality soundproofing and insulation of the Creta’s cabin. Also disappointing was the less-than-impressive fuel consumption of 7.5L/100 km recorded during its time with us. 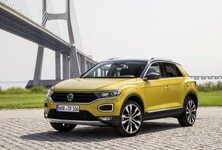 We expect that sort of figure from larger SUVs powered by bigger turbodiesel engines. Turbodiesel or turbopetrol? Both achieved the same fuel consumption figure during their time with us. The 6-speed auto does a good job of keeping the Creta in the torque band and accelerating smoothly. The revs are a little high at 120 kph for a turbodiesel and that’s also going to hurt long distance fuel economy. The lack of cruise control in the Creta is a bit odd but if you haven’t noticed yet, the strange specification of these 2 crossovers is a running theme. The C-HR is the first South African Toyota to be powered by the 1.2 turbopetrol engine, a move most other manufacturers have already made. It’s mated to a CVT gearbox that works perfectly at low speed, like when you’re driving in traffic. When you have to get a move on and the revs climb it feels like it’s a drag and actually sapping some of the power the 1.2 turbo has. Fuel consumption on the C-HR actually matched the Creta at 7.7L/100 km during its 2-week stay with us. The driving experience might not be a major concern in the purchase of a modern crossover, but a comfortable ride can make a difference to your long-term experience of the car. Apart from the previously mentioned engine noise, the Creta is well insulated from road noise and buffeting and sits solidly on the road when cornering. The Creta can be upset by undulations and corrugations on dirt roads but remains a comfortable drive. The steering isn’t as light as we’ve seen in other Hyundai products and provides a solid foundation for confident inputs and reassuring handling. 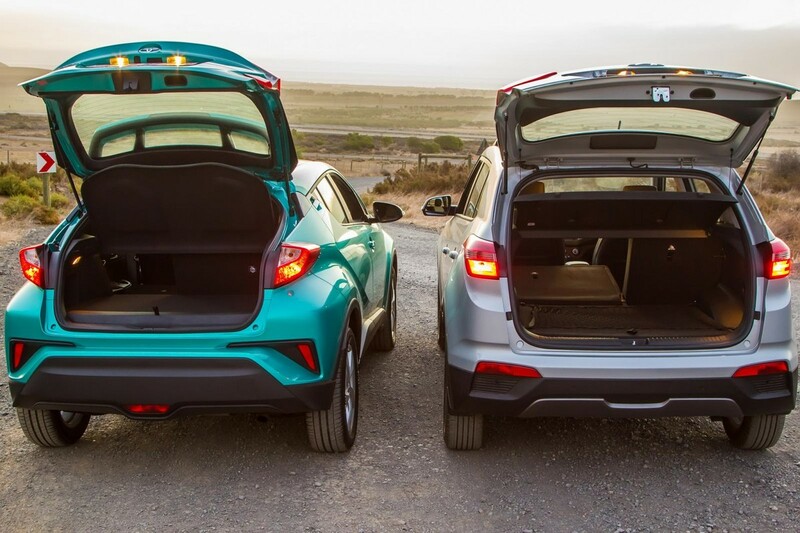 Both crossovers drive well and are surefooted on the road, the C-HR is more comfortable though. The C-HR sits on the Prius platform, a chassis we have experienced before and found to be very comfortable. So it’s no surprise the C-HR is similarly comfortable and refined to drive. It handles bumps, ruts and just about anything else with ease. There’s a bit of body roll if you corner quickly but the C-HR is built for comfort and provides a very pleasant driving experience. The Creta and the C-HR may be priced similarly and be categorised in the same segment but they are not direct rivals. At R369 900 (April 2017), the Creta represents the practical choice. It sits at the top end of the compact crossover segment, offering a full house of features – bar cruise control and stability control. 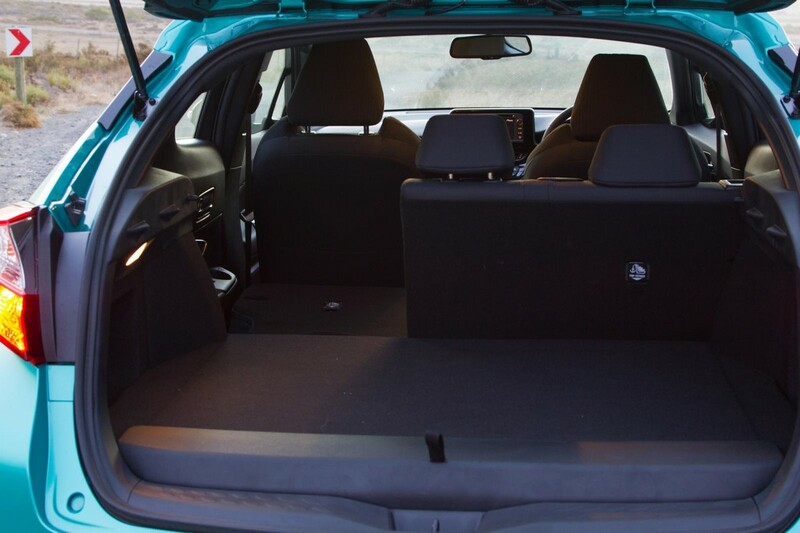 It’s much bigger inside than it looks and is better equipped to accommodate an average family and their gear. The C-HR is a fashion purchase. Its design and shape are particularly eye-catching and a step outside the norm for Toyota – no doubt sales success is on the cards. 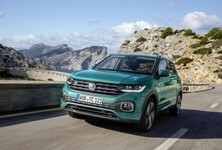 It has been generally well-specced, however, as a want rather than need purchase, the lack of parking sensors, sat-nav or leather seats may disappoint. Not direct competitors but buyers at this price point are likely to consider them when choosing a small crossover. 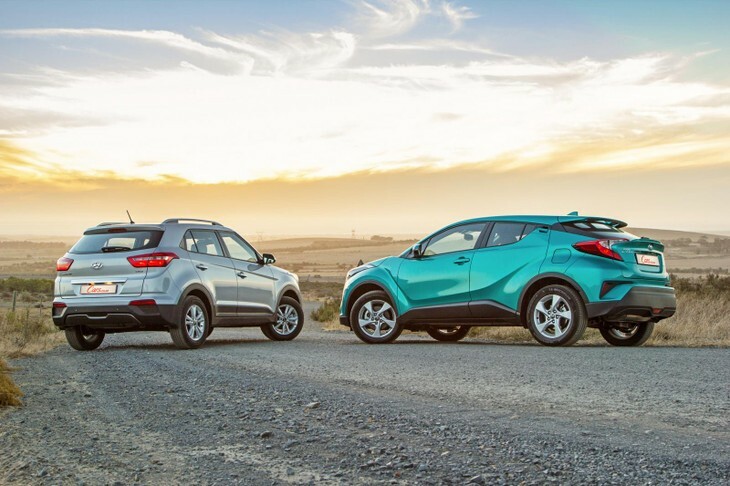 At R356 000 (April 2017) the C-HR isn’t cheap and buyers looking for a bit more value for money with their style purchase could be tempted by cars such as the Renault Captur. The Creta, on the other hand, may fall foul of the Nissan Qashqai 1.2 Acenta auto, a larger car with a cheaper price tag. Want to buy a new or used Toyota C-HR or Hyundai Creta?